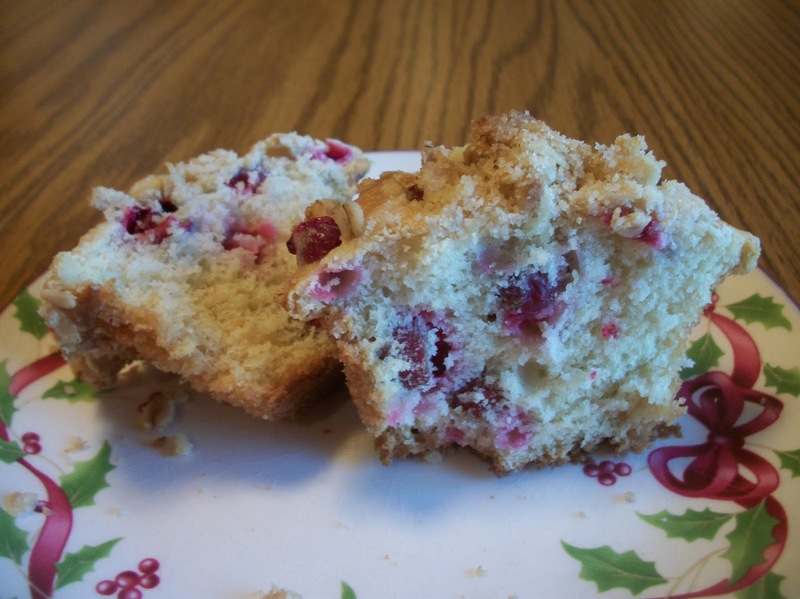 It's time to start planning holiday menus, and this muffin should be on your list! 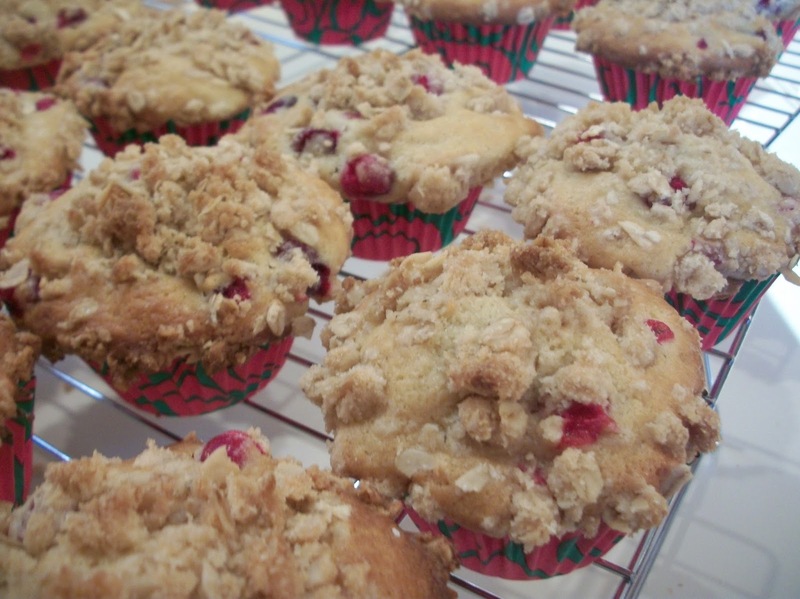 Bursting with cranberries and topped with a delicious streusel, this would be a welcome addition to any breakfast, brunch or coffee break. You can whip these up without even taking out the stand mixer, so there really are no excuses. Time to get festive! Find more great recipes at Create Link Inspire, Clever Chicks, Fabulous, Show and Share, Hearth and Soul, What's Cooking, Wow Me, Wow Us. For the muffins, in a medium bowl, whisk together the flour, baking powder, salt, and ginger. In a large measuring cup or batter bowl, mix together the sugar, eggs, oil, milk, and vanilla until fully combined. The mixture will be very liquid. Add in the flour quickly while stirring. Stir until a smooth batter is formed. Add in the cranberries, and mix to combine. For the topping, in a medium bowl, mix together the flour, sugars, baking powder, and salt using a spoon until combined. Then add the butter and cut in with a pastry blender, knives or your fingers until the mixture has pea-sized crumbs. 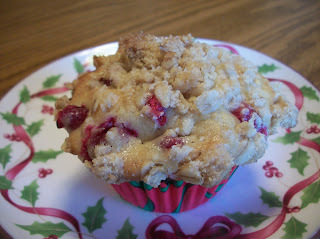 Fill greased or paper lined muffin cups with the batter. Take a tablespoon full of topping and place it on top of each muffin, gently pressing it into the batter so it does not fall off. 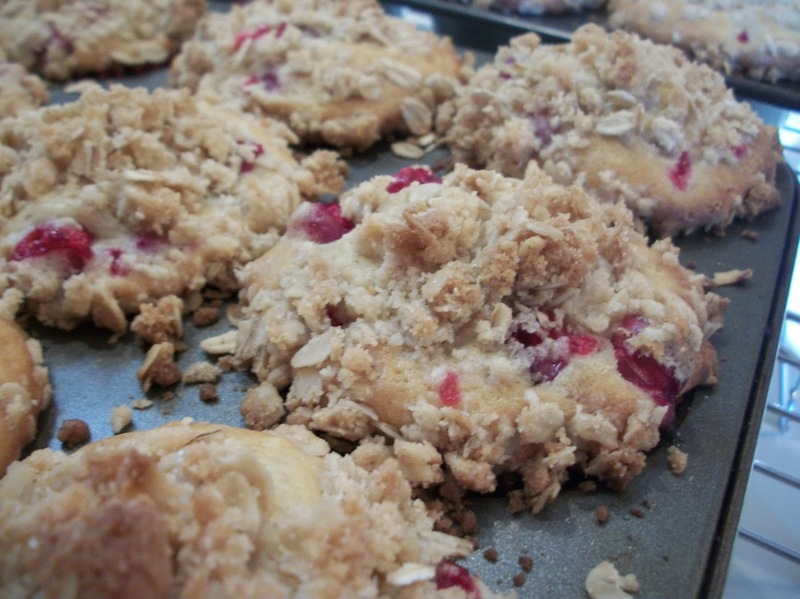 Divide any remaining topping among the muffins. Bake at 375 for 30-35 minutes, until a toothpick comes out with only a few moist crumbs. Cool muffins completely in pan. To remove, gently loosen tops of muffins from pans; then using a spatula go down the side of each muffin cup and gently and swiftly push the muffin out. The muffins may be stored at room temperature for up to 3 days or frozen for up to 3 months. Thaw at room temperature for several hours or in a 350 degree F oven for about 20 minutes.